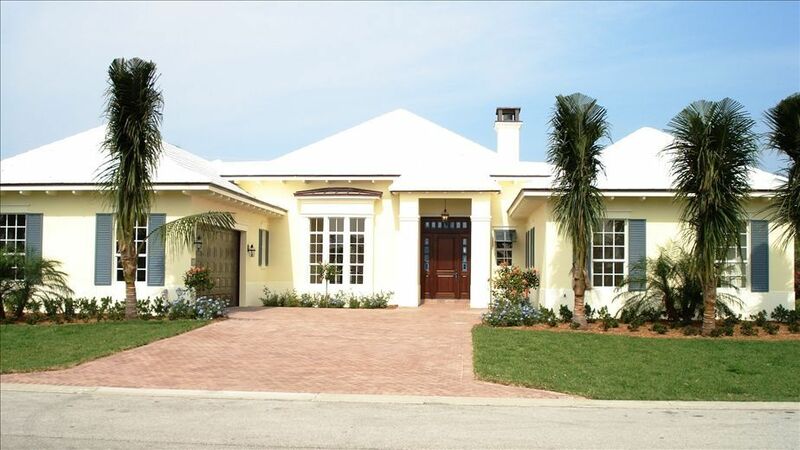 Beautiful Home in Small, Quiet, Gated Development on Vero Beach Island. This Home is Designer Decorated with a Gourmet Kitchen, 14' ceilings and an open floor plan. It is perfect place to spend time with family and friends. Private Access to the Beach is just steps away and it is a very special place. This House sits on 1/2 Acre with a Pool attached spa and a Child Proof Fence. The Large Lanai is a Wonderful Place to Relax and Enjoy the Day. We are a family of five living full time in CT. We have three young girls who love spending time at the house in Vero. We have spent the last 5 Christmas Holidays there and it is the highlight of the year for our girls. We originally chose Vero Beach because my roommate from college is the developer of the community. We then fell in love with the area and I don't think we would ever consider being anywhere else in Florida. Vero is a quaint town with great shops and restaurants. The downtown area is right on the beach with a Farmers market every Saturday morning. There is no traffic and the people are laid back and wonderful. Vero also has some of the best beaches you will find anywhere. We love this house because it's open, uncluttered and it just feels like a vacation spot. We always relax when we are there and when we leave we can't wait to go back. Our family has been going to Sanibel/Captiva every August but this year because of Red Tide bacteria we decided to come to Vero Beach. So glad we found this amazing place. We hope to be able to return next year. This house is close to the beach. It has everything you need for a comfortable stay from the well stocked kitchen, the beach chairs/bicycles in the garage, the grill, the pool, the jacuzzi, the high ceilings and the layout of the house. I don't want to say more because the more positives I list will surely increase demand for this property and the price will go up. The interaction with the owner and the property manager (Meg) was perfect. I want to send a big thank you from each member of my family as we all had a memorable vacation. Fun Family house with the Perfect pool for kids and adults alike! Our group of six adults and four young kids had another great week at the beach while staying in this beautiful home. This is our second time back because this house is so well-equipped to cook delicious meals, spend long lazy days at the beach, and relax by the pool. We picked up Fresh seafood from Joeys Seafood shack in Vero beach, and grilled out on the lovely back porch. The house has beach chairs, beach toys, and a wagon to get you all the way down the lovely path to the beach. You really can’t beat this part of Vero Beach. We had the beach to ourselves most days, and saw a plethora of Wildlife including manatees at the park 1 mile away, Dolphins, and manta rays in the ocean. We appreciated Megs hospitality! Thanks again! We had a lovely stay and the house had all of the amenities that we needed. Our questions were answered promptly. The home was very clean. The pool was refreshing. The large wagon to bring our beach things across the street to the path to the beach was helpful. Adults and children now have many happy memories. Spacious place, room for family togetherness but also spaces for alone time. Pool is awesome. This is a beautiful 4bedroom, 3.5 bathroom house. The kitchen is amazing! Awesome home just a 5 minute walk from the beach. Beautiful, spacious and very clean house. Nice pool area. The house is close to the beach access. The beach is the most beautiful and peaceful that we have been in Florida.